Student Government Association Director of Technology Rome Hamm presents legislation asking Western Illinois University uTech to consider finishing the migration of student account services from Zimbra to Google as Speaker of the Senate Patrick Quinlan facilitates. 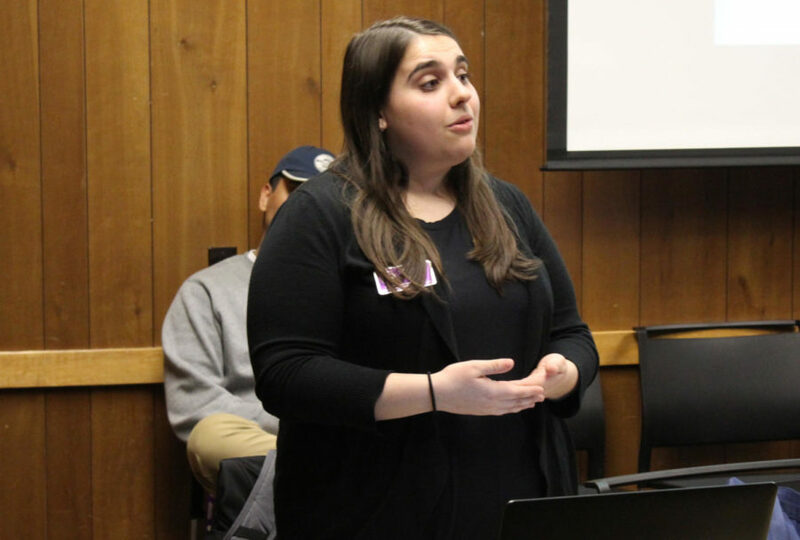 The Student Government Association discussed University Technology, known as uTech, and the thought of them prioritizing helping students prepare their day to day routines and assist in implementing a finals class schedule on each students account during Tuesday’s meeting. During the Spring and Summer of 2016, University Technology made a transition from Zimbra to Google apps. These apps range from email to calendar programs. Similar to the current my WIU Portal, Zimbra was used to access email, Western Online, and Word applications. The transition was made to increase accessibility and increase student storage. SGA Director of Technology, Rome Hamm, proposed Bill of Resolution 2017-2018.006 for University Technology to make it a priority to implement class schedules for Western students directly into a student’s Google Calendar similar to that of Zimbra. Instead of Zimbra, Hamm had the opportunity to access Google calendar as a uTech employee. According to Hamm, this was a helpful tool that should be made available to all students at Western. Hamm continued to mention that University Technology currently has a graduate student working on the issue. The main priority for the department is to continue working to improve Western Online, then implement the use of the Google Calendar, therefore uTech may be able to get the project kicked off and finished by the end of the semester. “Hopefully with the passing of this it will show that this is also important to us students,” said Hamm. Coauthor on the Bill of Resolution was Alexander Lopez, Senator of the Latin American Student Organization. Lopez also added that the adoption of a systematic calendar could help aid students with their education. Bill of Resolution 2017-2018.006 was passed unanimously by the legislative body. Another important topic mentioned during the legislative session was that inteviews for the open provost spot art Western will begin later this week. The provost serves as the vice president of academic affairs and as the chief academic officer of the University. The first open session will take place at the Macomb campus for the first candidate Thursday, March 22 in Stipes 501. Candidate George Arasimowicz will be answering questions students and people in the community may have. SGA Director of Public Relations Colton Markey believes that this would be a great opportunity to ask each candidate what they are planning to do to better the University and what they have done in the past to ensure they are the right pick for the job.